Curious on how to make a simple DIY Shaving Cream Puffy Paint Recipe? Well, we have got you covered! 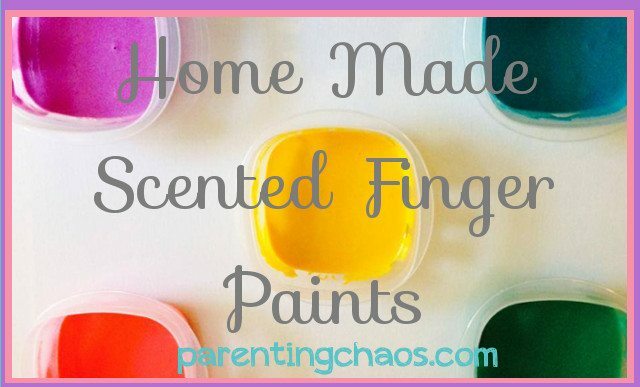 Your children will love to learn how to make this homemade puffy paint using basic household items like food coloring. 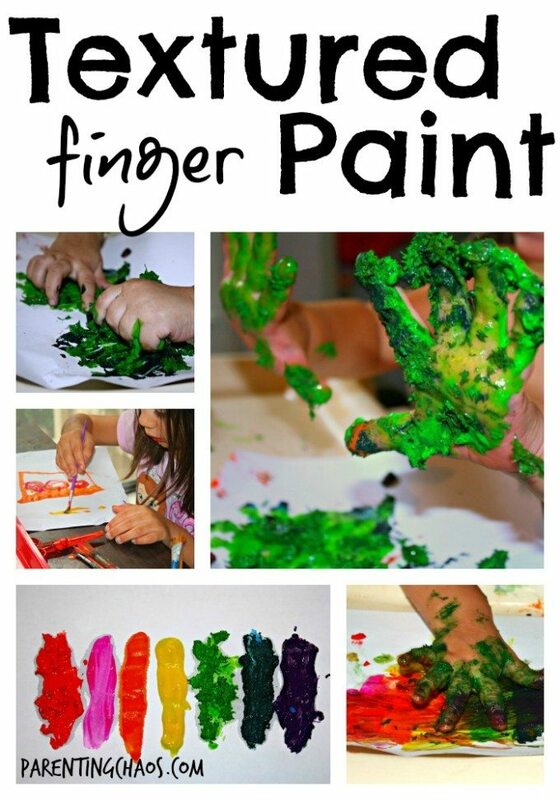 Fluffy paint is a super fun kid art and sensory play experience! 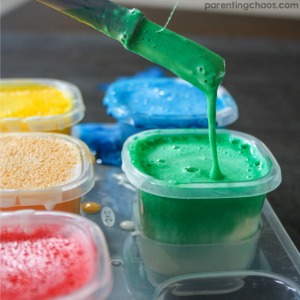 Puffy Paint is one of my all time favorite sensory play recipes to make and use with the kids. It takes less than 5 minutes to throw together and is a fun texture to play with. Even after it dries this puffy paint is super fun to touch! This week when we made ours the kids got this shaving cream paint everywhere. As they finger painted on the paper (after probably the millionth time of me reminding them to keep it on the paper), the debate came out. Is this puffy paint or fluffy paint? 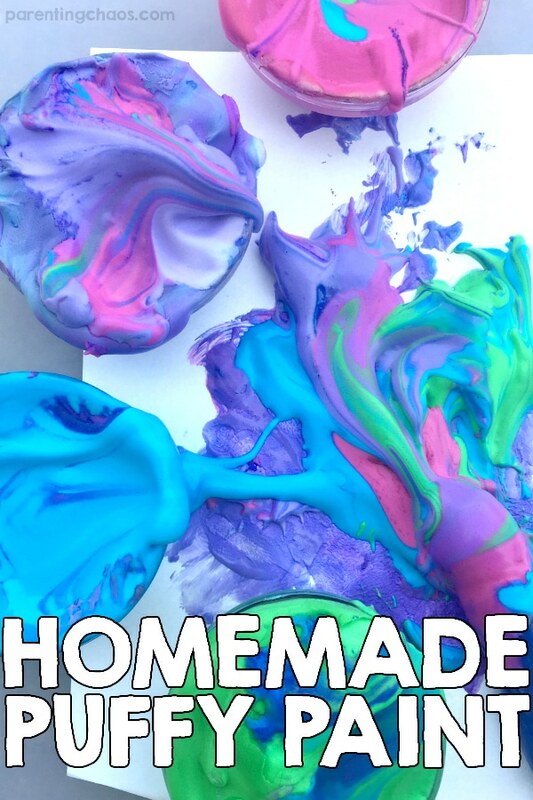 We still haven’t decided, but whatever you decide to call it just know, we love this glue and shaving cream paint! 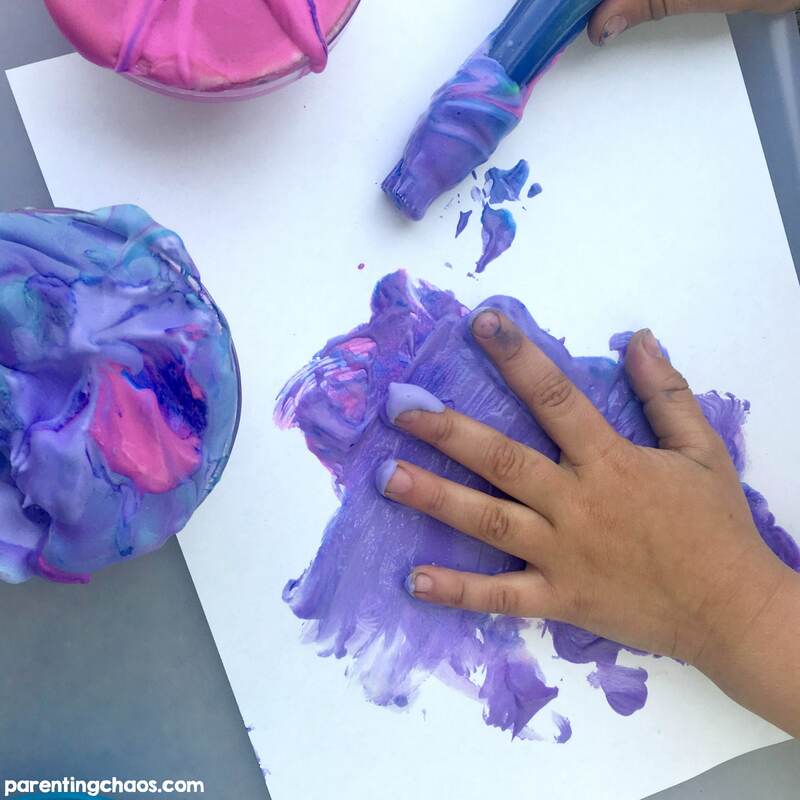 One of my favorite things about this shaving cream and glue recipe is that even though finger painting is messy, shaving cream and glue paint is super easy to clean up. All it takes is a wet cloth wipe down and it will not stain anything. This fun and easy recipe only requires two fairly common ingredients. Glue and shaving cream. 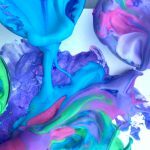 Now if you want more than a white puffy paint, you can get all wild and add in some food dye to color your paint (like we did in the photos), or add in some pretty blue glitter and call it snow paint. However you twist it, your kids will have an absolute messy blast with this shaving foam painting. 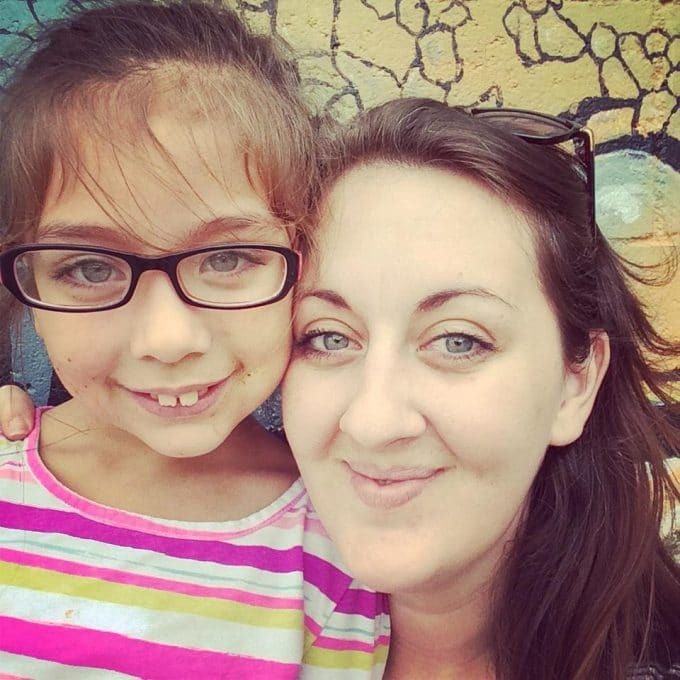 Have a kid that isn’t into messy finger painting? 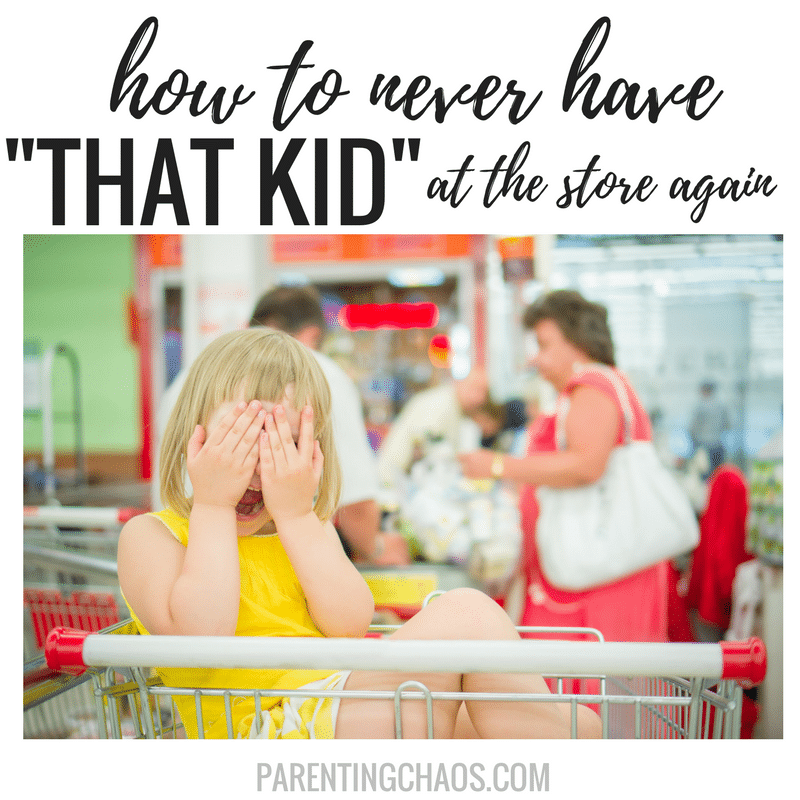 You can still do this activity with them! Swing on over to learn how to make your own texture paintbrushes – they are a ton of fun to use with this paint recipe! My favorite recipe for puffy paint calls for equal parts of white glue and shaving cream. However, I have found that when I make puffy paint it is best to be more than a little liberal with the shaving cream. I mean the whole point of puffy shaving cream paint is to get it nice and fluffy yes? So overflow that measuring cup. I promise it will make the texture a lot more fun! When adding in the glue to your puffy paints be a bit conservative and mix it as you pour. The more glue you add, the denser the paint will be. My kids personally like their shaving cream art to dry into a rubbery texture. They are always amazed to see that shaving cream dries like a foamy rubber on paper. It’s so much fun to touch! Then simple stir it all together. 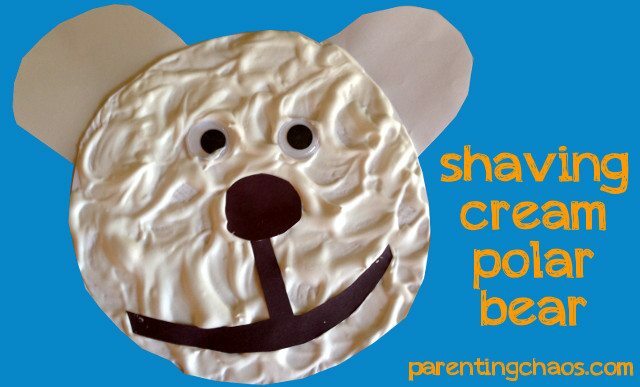 Let your kids have a blast mixing the shaving cream and glue! 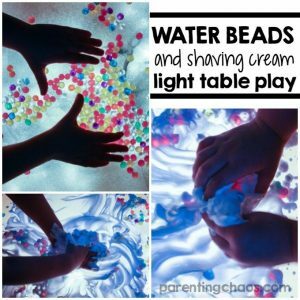 Find all of our shaving cream play ideas here. How Long Does Puffy Paint Last? Once mixed together your shaving cream puffy paint will last a couple rounds as long as you keep it stored in an air tight container. Over time it will start to breakdown into a not so much fun goopy texture. We love to turn our leftover into a fluffy shaving cream slime! 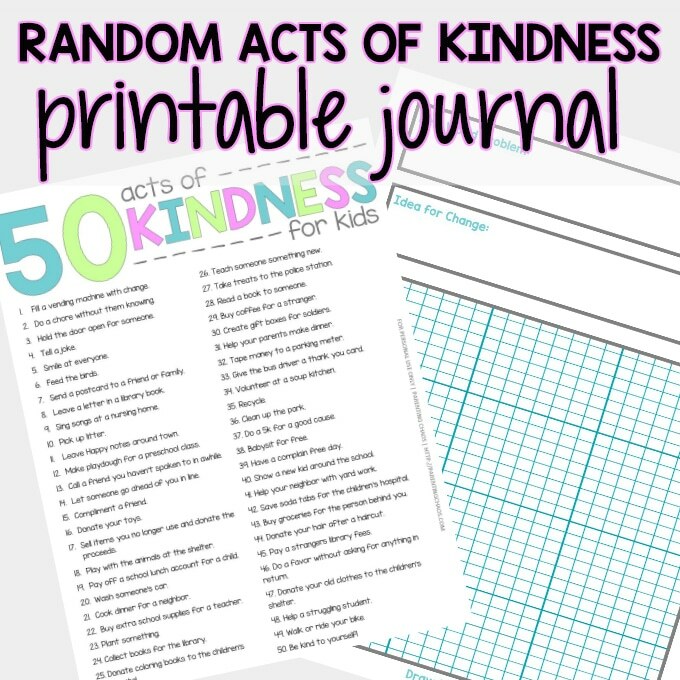 Below is a printable version of the recipe! 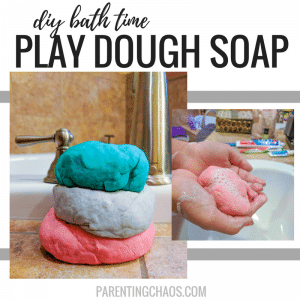 You can easily print it off below to save this sensory play recipe for future reference. And if you liked this recipe if you could rate it below it would mean the world to us! An easy to make puffy paint that is guaranteed to provide a fun sensory experience! Add in a couple drops of food dye to color your fluffy paint or sprinkle in some glitter and turn it into snow paint! Not making this puffy paint recipe right this second? Then pin the image below so you can easily find it once you are ready to!